Put your computer and the Internet to work 24/7, 365 days a year: Become a Background Screening Consultant. You will be working with businesses, organizations and individuals by assisting them in running background checks. Our business model is unlike many other businesses where you have to learn the details of dozens or even hundreds of products and also become an expert in the many skills required to perform services. 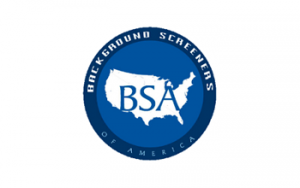 The comprehensive training we provide for conducting background screening focuses on learning an overview of the industry. It’s not hard to do with our simple point-and-click background search interface. You will be trained by our experienced team which will leave you feeling confident when speaking with your clients. You will have a back office team assisting you with background searches, marketing and getting clients to sign on the dotted line. Much of our training and support is designed to help you generate clients and cash flow. Isn’t that what you want and need first and foremost? The BSA Internet Referral Program (IRP) and the BSA Account Introduction Program (AIP) will help drive business directly to you. These are innovative and highly successful marketing programs that have been proven to be successful. BSA allows you to do business anywhere in the entire U.S. Your potential is incredible! As a BSA Consultant, you may choose to take meetings face to face, by telephone, through email/Internet and virtual meetings. This allows you, the Consultant, to work efficiently from your home or anywhere else. A Proven Strategy: It’s taken us many years to develop and implement the BSA business model. The component that makes it work better than what anybody has ever previously done in this industry is YOU. By sharing our business with others who are qualified to participate we are currently building market share and are rapidly becoming the dominant player. By partnering with good people, we bring a level of service never before experienced by our clients - and they love it. We have created a joint venture with BSA Consultants who have a real interest in their very own business. And by the way, there are NO franchise fees, NO royalties, NO monthly dues or any other fees you will ever need to pay. BSA earns its profits after you first earn yours. Credentials: We are members of the National Association of Professional Background Screeners, the American Staffing Association, and the Society for Human Resource Management. We receive bulletins and newsletters, attend conferences and seminars, and maintain valuable networking contacts - and all of this is passed on to you so you can keep a powerful position in the marketplace! We can’t entirely explain our very unique business model on this one page. Therefore, if you are qualified financially, if you are ambitious, if you are willing to learn rather than reinvent the wheel, in other words, if you enjoy being part of a proven system, then please contact us. You will receive an auto-response email with our website address as well as phone contact information for BSA. Oh, and by the way, you must of course be able to pass a comprehensive background screening yourself to join the BSA team.